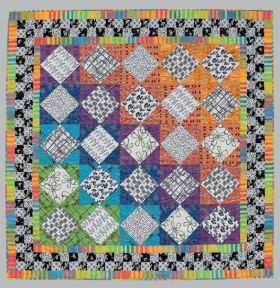 Learn to combine a rainbow of bright, saturated colors with crisp black-and-white prints to make amazing quilts. 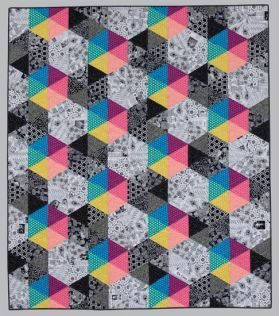 Choose from modern, graphic patterns as well as traditional designs updated by the use of a bold palette. 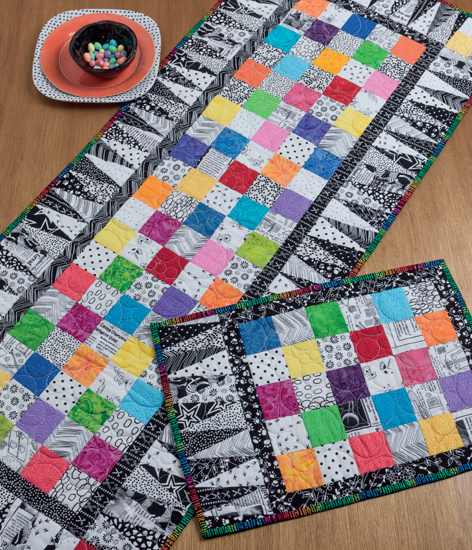 You'll love the high contrast and fun pops of color in these sparkling designs! I love everything about this book! 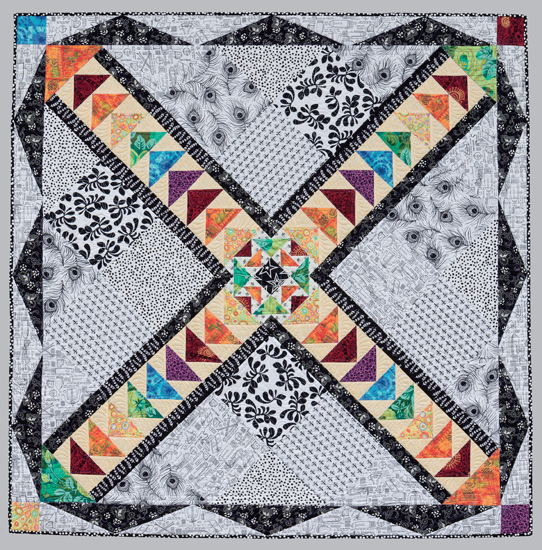 The graphic black and whites with a pop of color are right up my alley! Jackie's book Splash of Color is an inspiring collection of colorful quilts using a variety of techniques and skills sets. Thorough instructions will help you successfully complete the projects. 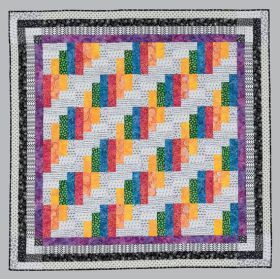 Her tips along the way help you organize your workflow, which I think is just as important as piecing technique. 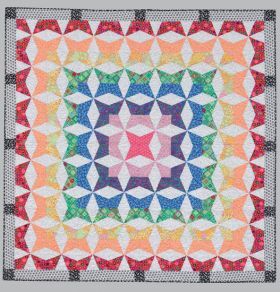 Many projects include an alternate version completed by another quilter, which can help you visualize how to make the quilt your own. I think this book is not only a great collection of projects but a valuable resource. 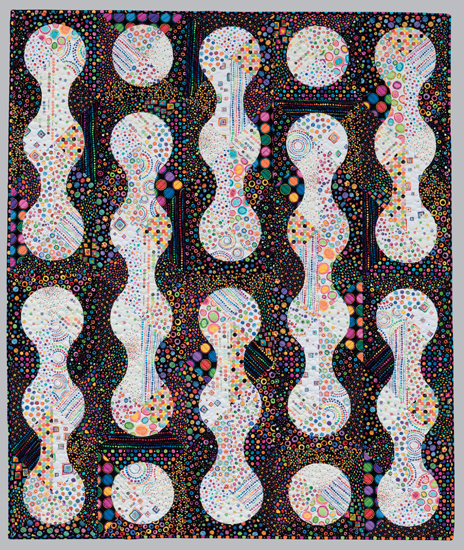 I have always been drawn to black and white fabrics. This book looks like the answer to my growing stash. Love these designs! 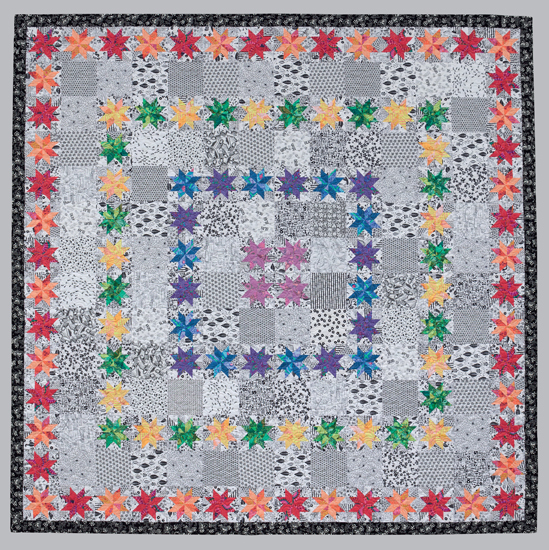 What a fun group of quilts! Oh where to start? 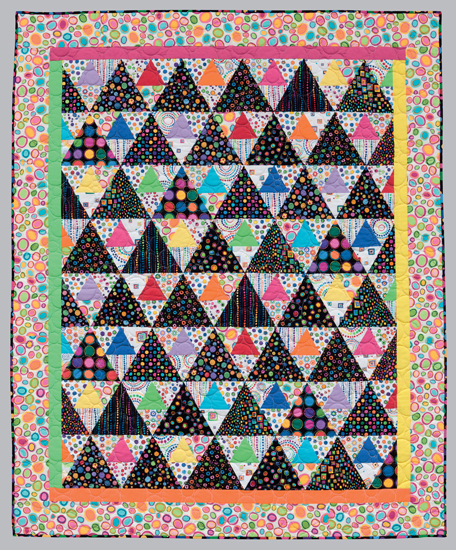 I love every quilt in this book but I think my favorite is Lava Lamps, the third photo above. 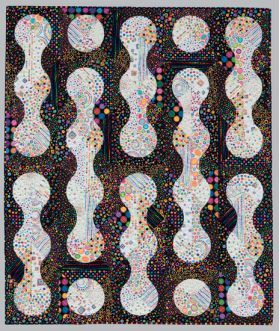 I love how Jackie has taken some traditional patterns and made them very modern with bright colors and black and white prints. 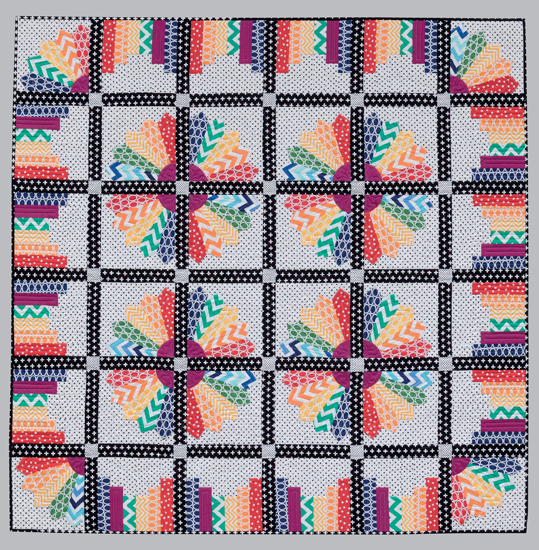 Her instructions are thorough and many of the designs have alternate colorways. This is a must have book - 80 pages of inspiration! 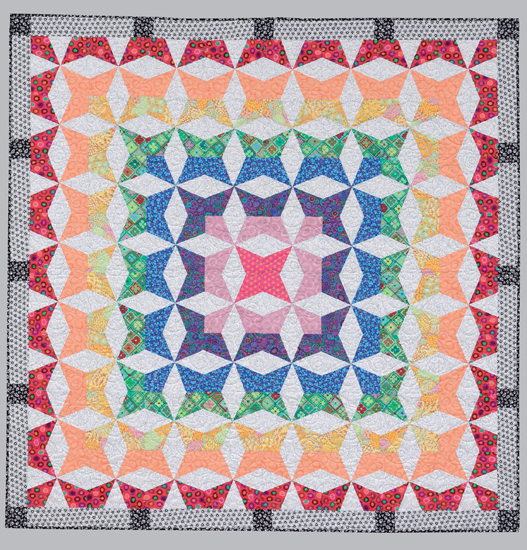 Every quilt is fantastic with extremely well-written instructions. 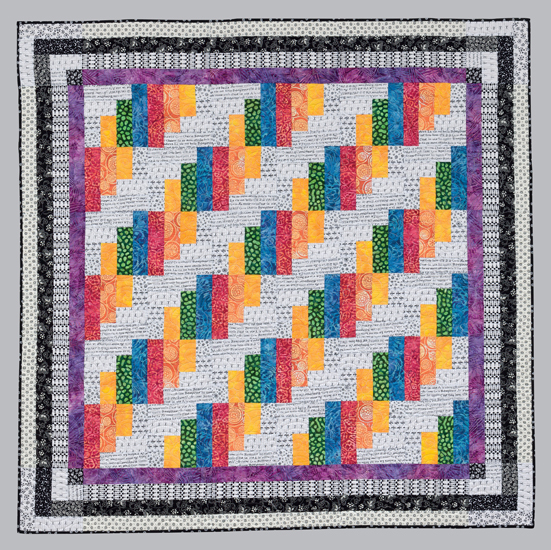 Jackie takes you step-by-step through each project. Her tips and suggestions alone are worth adding this to your library. Love that Jackie shares alternate views of her designs, all made by her friends. 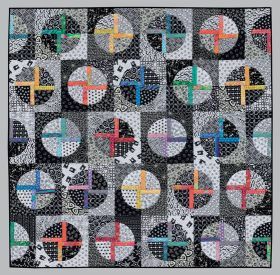 What a wonderful circle of quilter's...simply fantastic. 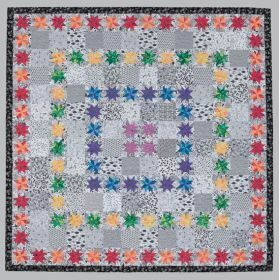 Excellent instructions and great extra tips (how to quilt this one? 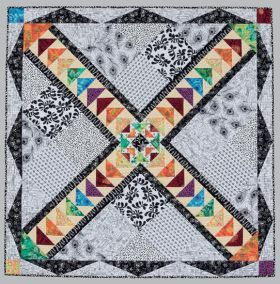 Help on curved piecing; etc.). 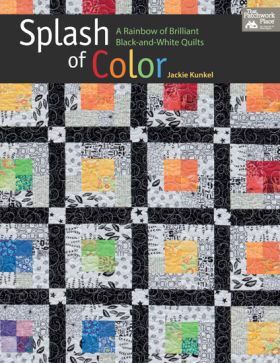 I've made three of these projects and am not done yet; it's a genuinely fresh and useful book that lets you exercise full creativity - you can play with the color to create a completely different look or go with the author's color layouts to get the look she achieved. 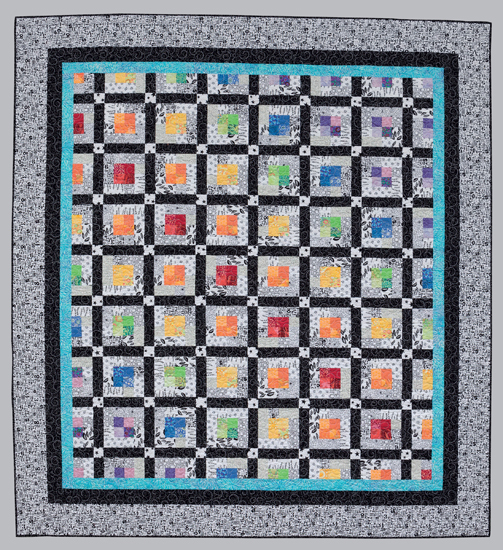 Splash of Color will help you add more color and contrast to your quilting. Jackie's instructions for each of the vibrant projects are clear, and make you want to gather up your materials to start a project immediately. 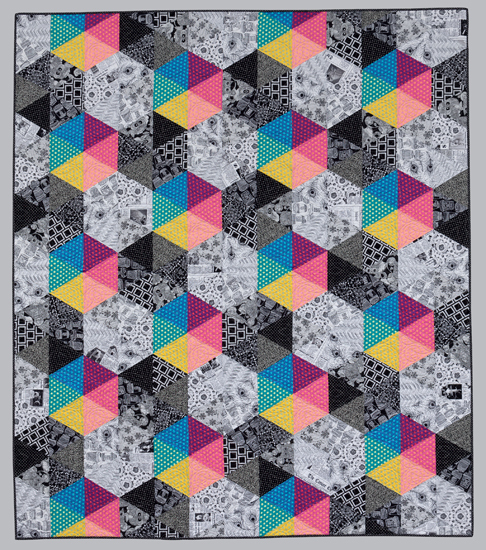 Being able to see interpretations in alternate colorways is a bonus. The real challenge is choosing which one to start first. 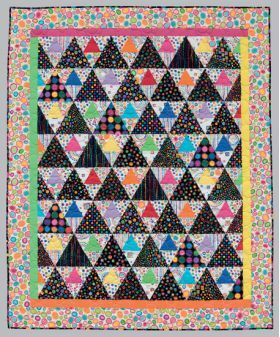 With projects that span a wide range of skill levels, I highly recommend that you add this book to your quilting library. 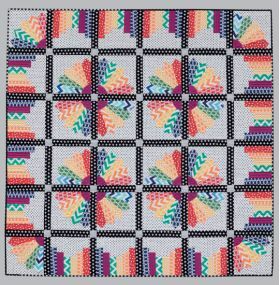 Well written, beautiful photos and many patterns to try. I've made two of them. 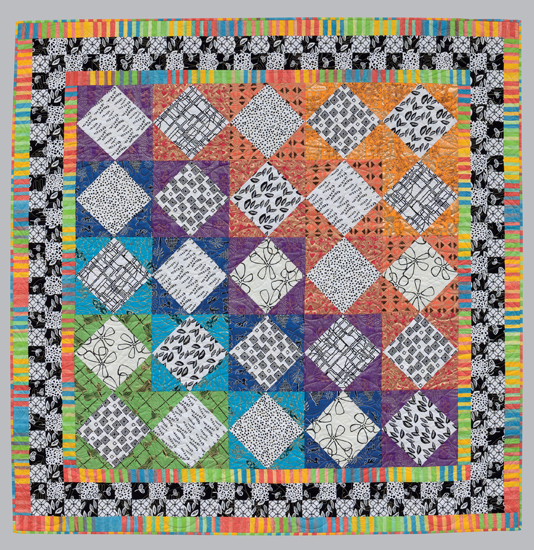 A few of us GenQ staffers can't pass up black-and white fabric when we see it. We have stacks of everything from newspaper print to skulls to geometric prints to polka dots. It's irresistible. But what do we do with it? Well, Jackie Kunkel is no stranger to the pages of GenQ and she gets us. 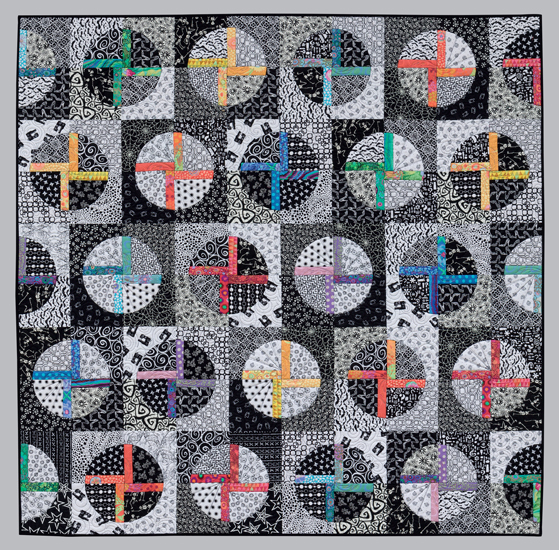 Her book helps with this dilemma (it's a hard road as a quilter), showing how to pair these black/white wonders with pops of saturated color to create quilts that vibrate with intensity. 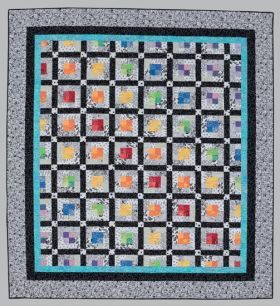 Her unique use of simple and complex piecing - simple squares to piecing shape prior to cutting them in Drunkard's Path units, for example - offers something for every level of quilter. Fresh and fun!